This smoothie and juice compendium is packed with 500 refreshing recipes, all of them clear and easy to follow. Filled with tips on how to select the right ingredients for your smoothies and juices and then how to make them taste absolutely perfect, this is the only book of smoothies and juices you will ever need. This smoothie and juice compendium is packed with 500 refreshing recipes, all of them clear and easy to follow. 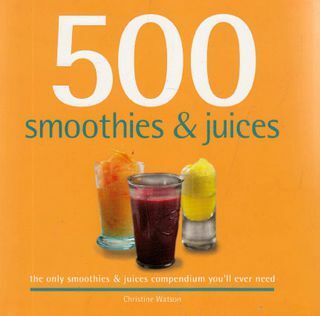 Filled with tips on how to select the right ingredients for your smoothies and juices and then how to make them taste absolutely perfect, this is the only book of smoothies and juices you will ever need.